Thomas Weelkes was described by the authorities at Chichester Cathedral as a ‘comon drunckard, notorious swearer and blasphemer’ and sacked in about 1615 for being inebriated while playing the organ, but not before he’d written ground-breaking music – forty anthems, at least ten church services and yes, a hundred or so madrigals, sad ones, joyous ones, oddball ones. 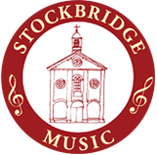 His works were nearly all for the voice, as were those written by the other composers featured by Index Cantorum in this latest concert in the Stockbridge Music series. The choir kicked off with Thule, the period of cosmography by Weelkes, tackling with gusto its musical reflection of how even a far away icebound volcano’s sulphurious fire cannot compete with human emotions of love. Six of the other composers featured in this concert also lived in the sixteenth century, and some of their works were written for eight parts, a sound that always warms the spirit. Omnes de Saba by Orlando Lassus is a fine example, well displayed here by the twenty five singers. The evening’s theme was ‘journeys’ whether it was a soldier’s wish that the wind would blow him home in an excerpt from John Taverner’s Missa Western Wynde; the calming of a dangerous sea storm by Jesus in de Giaches de Wert’s Ascendente Jesu in naviculam; Paul’s conversion on the road to Damascus Paulus apostolus by Christóbal de Morales; or the eight part depiction of the Israelites’ escape through the Red Sea Super flumina Babylonis by Philipe de Monte. All this music ebbed and flowed, effortlessly carried along by first class singing. Index Cantorum’s founder and director, Mark Williams, describes his choir as a well-established ‘list of singers’ who from time to time gather to perform music that spans several centuries. Indeed, how good it was to hear their singing of the favourite anthem Beati quorum via by Stanford, the spiritual Wade in the water in an eight part version, two folksong arrangements by Vaughan Williams and Gustav Holst, and that simple poignant classic by Flanders and Swann, The Slow Train, in an arrangement with suitable sound effects from the choir! Five or so years ago, the American composer Eric Whitacre declared that he’d make recordings of his works only with British choirs. They were the world’s best. And this was proved by the performance of his Leonardo dreams of his flying machine, an imaginative and vivid musical expression of a likely Da Vinci dream. Whitacre had just as much fun writing this as the choir had singing it, a fitting close to a most pleasurable evening.